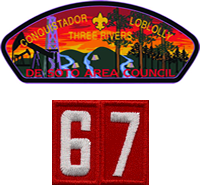 Since we have so many boys traveling over the next few weeks, Troop 67 will observer a summer break and postpone troop meetings until August 11, 2014. We will will have a Troop Committee and Parent planning meeting on August 4th, 2014 in the Scout Room at the church to work on our 2014-2015 activities calendar. Scout parents and Troop committee members are encouraged to attend.